Alex Birch had to remove the cattle following a complaint from a dog walker that he felt unsafe around the herd. More than 25,000 people have backed a petition to get Highland cattle re-grazing on a Peak District beauty spot after a single complaint from a dog walker forced the herd off the land. Baslow Edge in the Peak District has been a walker’s attraction for its Highland cattle for more than 40 years, but intervention from the Health and Safety Executive (HSE) in January meant farmer Alex Birch, 32, was no longer allowed to graze cows with calves beside public footpaths. 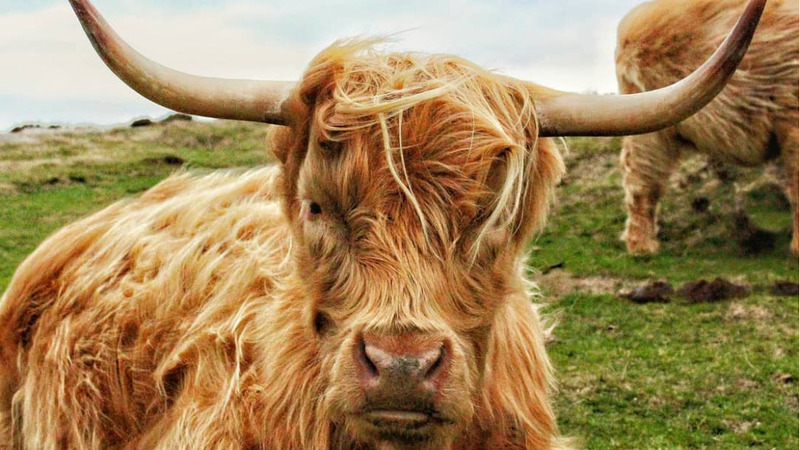 The anonymous dog walker complained one of the Highland cows tried to attack his dog - but others have hit back suggesting the cattle added ‘so much beauty to an already beautiful landscape’ and had been removed ‘to the detriment of all who enjoyed their presence’. Space constraints and a lack of availability of suitable upland areas – as well as 500 other cattle on his land – meant Mr Birch was forced to sell his in-cow heifers and cull the rest. The HSE said it ‘provided a number of different suggested solutions and options’ but it was Mr Birch’s decision to remove the cattle. His grandfather, David Thorp, bought the herd more than 40 years ago when he was in his 30s. “Granddad is in bits,” Mr Birch said. “It is not a financial thing at all; it is purely aesthetic. The incident went viral last week after Mr Birch’s grandfather wrote an article in the local parish magazine after locals were asking where the cows - sold in January - had gone. He has since heard the man who put in the complaint last summer said it was never his intention to have the cows taken off the moor. At the time, the HSE also gave Mr Birch a Section 20 for his refusal to comply with their request to have the tag numbers of the cows. A spokesperson said: “HSE investigated concerns following a number of incidents where three members of the public were injured by cattle at Baslow, Derbyshire. “In addition, other people reported escaping attacks without serious injury at the same location, an area popular with walkers and visitors of all ages.